One of the great things that I liked about Prince was the talent that he worked with especially the other band members of the revolution who went on to make their own music. One of the albums that followed the break up of the Revolution was Wendy and Lisa's self titled debut album. I remember that Waterfall and Sideshow were the singles that were featured on it but it was a great album in it's entirety. I bought the album on CD a few years ago and it had a different cover but the original cover pictured above I think is one of the most beautiful of it's era. My most favourite song by Wendy and Lisa from that album was called Chance to Grow. I think it is pure gorgeousness. 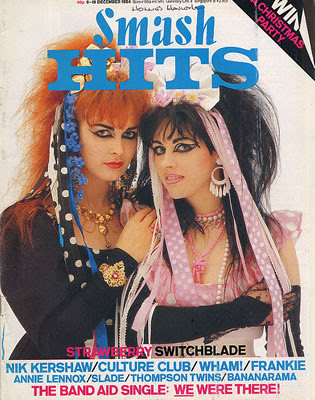 In my list of all time favourite songs from the 1980s high in that list is Since Yesterday by Strawberry Switchblade which was a hit for them in 1984 when it got to number 5 in the UK singles charts and number 6 here in Ireland. I can still remember buying that copy of Smash Hits magazine pictured above with them on the cover. Strawberry Switchblade were Jill Bryson and Rose McDowell and they put Scotland on the pop map in the mid 1980s with their sound and own wonderful look. Since Yesterday was their only top ten hit. The follow up Let Her Go was also a good song and deserved to be a hit. One other song that I always liked by them was their cover of Jolene by Dolly Parton. Like 9 to 5 or Here You Come Again it is a song that you really most identify with Dolly but Strawberry Switchblade definitely made the song their own when they covered it in 1985. Heathers are twin sisters Ellie and Louise McNamara who are from Dublin. They came to national attention here in Ireland when their song Remember When was featured in an Failte Ireland tourism television advertisement. It was also shown a lot in advertisements in Irish cinemas, it was the kind of song you actually liked hearing before a movie started in your local multiplex. Remember Me featured on their debut album Here Not There which was released in 2010. 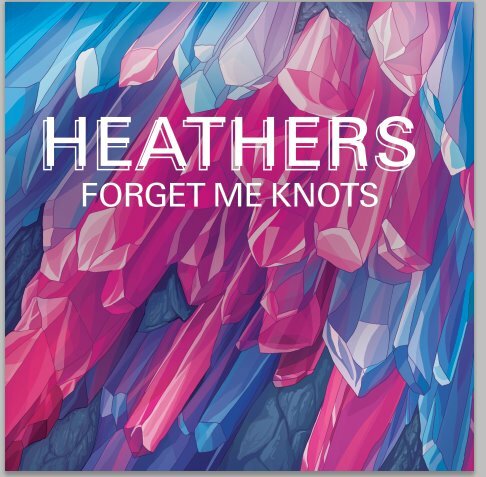 Their new album Kingdom is released in September and the first single from it is Forget Me Knots.